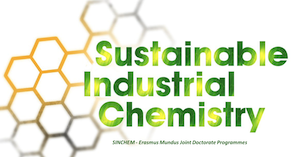 The RESULTS of the of the SINCHEM selection 2015/16 are available here. a) Eligibility check: at first the SINCHEM Secretariat will check all the applications under the technical admission requirements (such as diploma & language requirements and the recommendation letters). Candidates who do not fulfill these requirements will not be academically reviewed; Results January 28th. b) Evaluation: the Admission and Examination Committee will review all the applications and annexes, selected by the Secretariat. A priority list of doctoral candidates, eligible for an Erasmus Mundus doctoral grant, will be issued according to predefined, fair, transparent and objective evaluation criteria of CVs, academic background, scientific/professional experience, motivation and recommendation letters; Results before February the 12th. c) Interview (February 18-19) : top 25 candidates will be interviewed (through Skype or by phone, in order to better understand motivations and background of the candidates). Then, candidates will be ranked in a second priority list. During the interview, the committee will evaluate also the pertinence of candidates skills with specific research topics. Candidate shall also prove his/her proficiency in English language. In order to take the interview, candidates will be asked to identify themselves by providing the identity document enclosed in the Application Form.